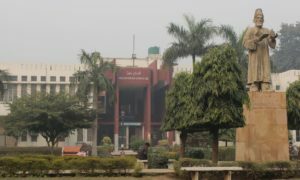 A two-day Workshop on ‘ERP Mission’ was organised by the FTK-Centre for Information Technology, Jamia Millia Islamia on September 17-18, 2011. Prof. Zahid H Khan, Honorary Director, FTK-Centre for Information Technology delivered the welcome address and introduced the participants to the objectives of the workshop. In his welcome address, Prof. Khan emphasised the importance of active participation of the developers, administrators and end-users for successful implementation of ERP systems in educational institutions. The workshop was inaugurated by Mr. T.A. 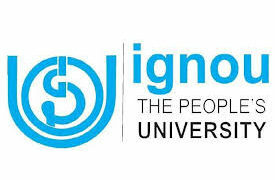 Khan, Deputy Director General, National Informatics Centre in the presence of the University Pro-Vice-Chancellor Prof. S.M. Rashid. 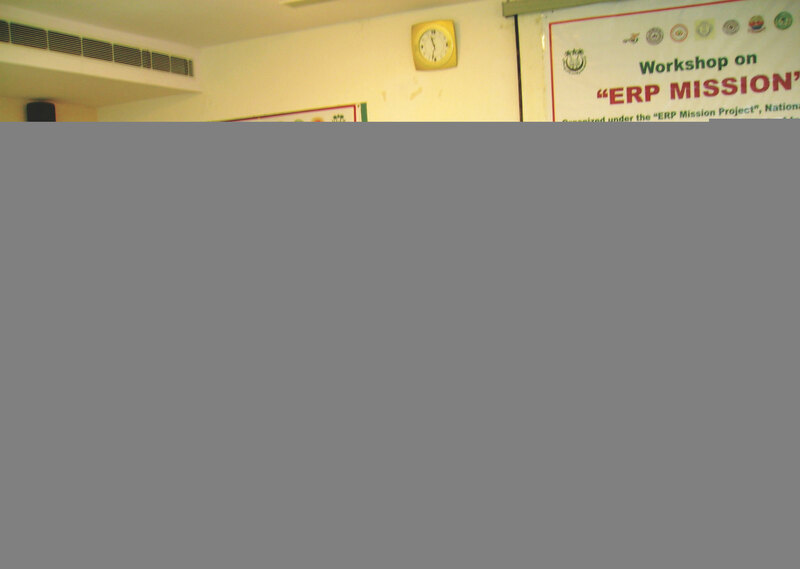 Mr. Khan appreciated the timely initiative of the NMEICT and the collaborative model for ERP system development. Drawing upon his rich technical experiences Mr. Khan asked the academic and technical communities to be ready for addressing the iterative evolution challenges thrown by the ERP system. Dr Ravi Gupta, CEO, Elets Technomedia Pvt. Ltd was the Guest of Honour. While applauding the Open Source methodology chosen for development, Dr Gupta emphasised the need for educational institutions to adapt to the changing technological environment to satisfy the requirements of the 21st century generation. Prof. SM Rashid, the Pro Vice-Chancellor, Jamia Millia Islamia while referring to the ‘Best ICT Enabled institution of Higher Learning’ award bagged by the FTK-Centre For Information Technology applauded the efforts of Prof. ZH Khan, Director CIT for making it amongst one of the most progressive IT centres in the Universities. 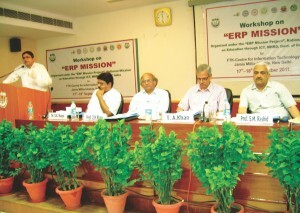 The objective of the workshop was to increase the awareness amongst the higher educational institutions about the development of various Open Source ERP modules under the INR 19.36 crores ERP Mission project sanctioned by the National Mission on Higher Education through ICT, Ministry of Human Resource Development, Government of India. The event provided a useful platform to the developers, university administrators, faculty members and ICT professionals for sharing their ideas on development and implementation of ERP modules in universities and educational institutions. During the technical sessions of the workshop, teams from Aligarh Muslim University, Amrita University, Dayalbagh Educational Institute, IGNOU, Jamia Millia Islamia and SMVDU Jammu demonstrated their respective ERP modules. Dr. S. Kazim Naqvi, Workshop Convener, introduced the delegates to the “ERP Mission” project, its objectives, methodology and possibilities of participation of other institutions. FAQs on the ERP MISSIONWhat is ERP? ERP stands for Enterprise Resource Planning. It is a software that helps organisations automate their processes in an integrated manner. What is ERP Mission Project? Why ERP needs to be developed? Raghu Raman, the Principal Investigator (PI) from Amrita Vishwa Vidyapetham, Coimbatore demonstrated the Grants Management System and Faculty Expertise System developed by their team. The team from Jamia Millia Islamia made presentation on the ‘Purchase and Inventory Control Module (PICO)’ module. Prof. Uma Kanjilal from IGNOU showcased the aspects of E-Portfolio. The module will be useful for students as well as faculty members to maintain an online archive of their academic, research and other types work. The team from Dayalbagh Educational Institute demonstrated the features of ‘Course Management’, ‘Online Admissions’, ‘Online OMR Evaluation System’, ‘Project Management’ and ‘Ondemad Examination’ modules developed by their team. Summet Gupta from SMVDU demonstrated the ‘Payroll and Tax Management System’. 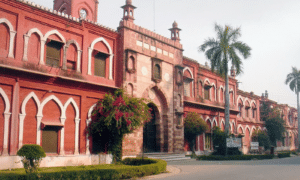 The AMU team demonstrated the ‘Library Management System (LibMS)’. Throughout all the sessions, the participants provided useful inputs on improving the utility of the modules. On the second day of the programme, the National Coordinator of the ERP Mission project Prof. YN Singh, from IIT Kanpur, also addressed the participants and explained the overall architecture of the system and future work. His team also demonstrated the Brihaspati-3 LMS and BrihasptiSync which is a facility for conducting online classes. He urged the entire academic and technical fraternity working for educational institutions to come forward and volunteer in meeting out the challenges thrown by this important project. The two- day workshop session concluded with an incredible amount of knowledge sharing exercise and provided useful insights into the working of ERP modules for higher education administrators.